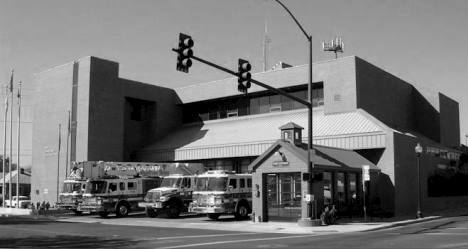 The Sparks Fire Department - is comprised of over 100 personnel operating from 5 stations throughout the city. SFD responce area is divided into 6 districts in the city limits combined for just over 38 square miles, and serves a poplation over nearly 100,000 people. 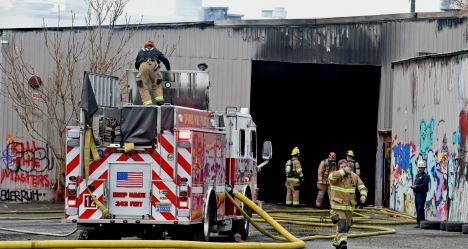 The Sparks Fire Department trains and maintains three technical teams whose members receive additional training in a specific area of need beyond fire suppression in order to safely respond to unique emergency situations, including HazMat, Water Rescue, and Technical Rescue. The Sparks Fire Department serves the community with Intermediate Life Support Engine Companies. The Fire Department provides first response from each Fire Station with a crew of 3 to 4. This allows firefighters to provide significant life saving skills such as advanced airway management, I.V. therapy and a number of drugs including dextrose for diabetics in distress, narcan for drug overdoses, albuterol for breathing difficulties and asthma, epinephrine for allergic reactions, and nitroglycerin for cardiac emergencies..